All healthcare organizations maintain various types of person-specific information in order to detail an individual’s health and care. This information can include observations and facts about the persons’ personal, medical, and social well-being. Specific federal regulations and best practice guidelines have been established to help healthcare organizations maintain the integrity of information in individuals’ medical records, including their care plans. These regulations and guidelines help ensure information entered into medical records is clear, concise, accurate, and individualized. Established guidelines also help streamline the documentation process to reduce errors and inconsistencies and increase an organization’s level of compliance. Because you are required to document information in medical records, it is vital that you know the importance of objective, consistent, and accurate documentation. 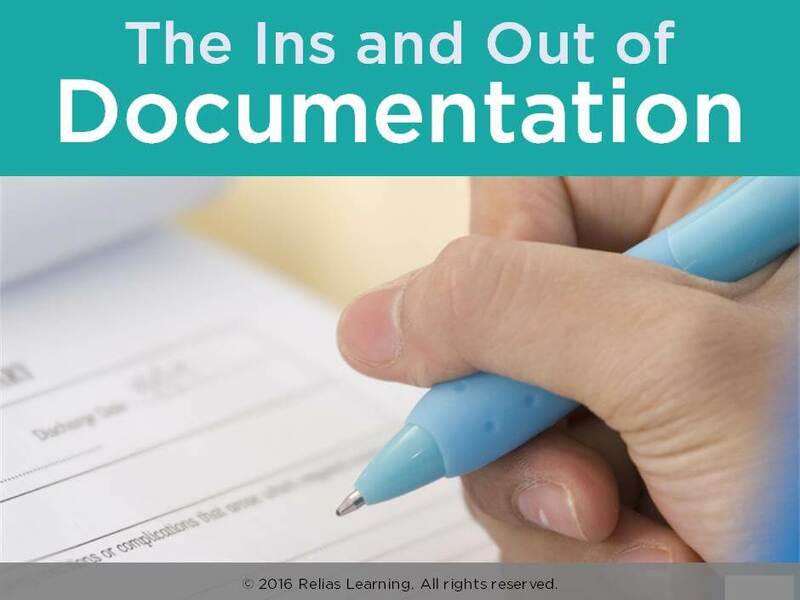 In this course, you will learn about documentation best practices. Discuss how the care plan pertains to proper documentation. The target audience for this course is: entry level Direct Care Workers; entry level General Staff; in the following settings: Post-Acute Care.